Jute drawstring pouches are in trend to use as promotional products due to a number of features such as fashionable status, and versatility. The large print area of the pouches allows a company to write its messages in an eye-catching manner. They have become a perfect medium to make company's message, brand and logo more noticeable that to easily. Jute drawstring pouch help companies to promote their brand by displaying as much details as a company requires. Jute drawstring pouches are considered as the great promotional bags because they can be given easily as giveaway gifts to people. Their high utility and durability make them ideal to be used for a longer period of time and due to this property of these pouches, people just adore them. 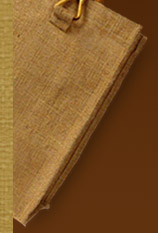 As they are designed from jute, they are quite strong having long lasting life. Presenting these bags to those who usually moves from one place to another is a perfect way to gain more visibility. 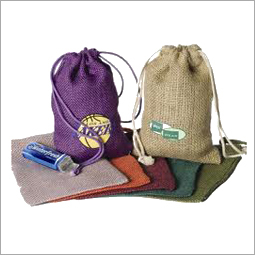 These types of jute drawstring pouches can be easily customized as per the promotional needs of a company. With drawstring pouches, a company can get its own designs and messages on the bag to spread everywhere. They assist companies to stretch their horizon of marketing by imprinting their logo and special message on them. They are available in a variety of flashy colors, designs and styles to make companies able to maximize the effect of their promotional campaign. As per the need, these jute drawstring pouches can be easily designed with guaranteed long term design and prints. Companies can easily distribute them at exhibitions, trade shows, business events and other occasions. Fancy and stylish jute drawstring pouch can be availed at very affordable prices that make companies cracking a prolific deal while promoting their business. This wonderful style to market the business really proves highly beneficial to the brand, sales and business of the company.